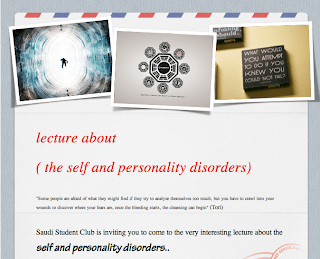 yesterday, i invited Dr.baher to come to PSU and give ( an introduction to psychology ) to saudi students . anyway, when the Dr.baher came to the room, he saw me alone waiting for him and then he look at my face asking.. is there anybody coming!! at the end of the lecture, everyone of them were totally astonished and suprised by how wonerfull the psychology is.